Jada Pinkett Smith is revealing why she doesn’t always join her husband, Will Smith, when he vacations with his ex-wife, Sheree Zampino. 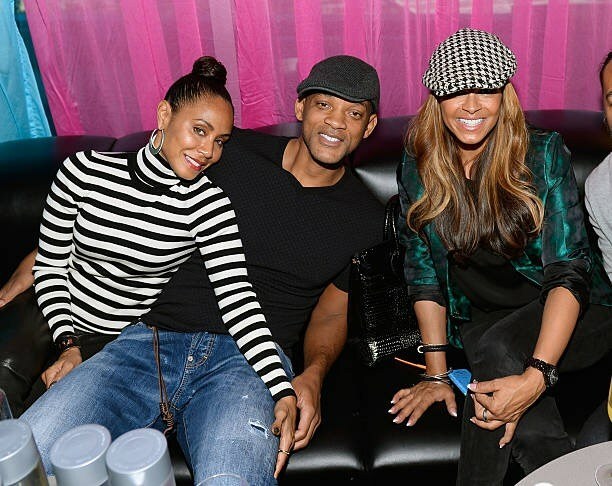 Before Jada, Will was married to Sheree from 1992 to 1995. The pair share a 25-year-old son named Trey, who Jada lists as the reason the co-parents should take vacations without her. In an interview with Sway’s Universe this week, the actress revealed that Sheree recently went to Jordan and Israel with Trey and Will. According to the actress, who has a new internet talk show called Red Table Talk, it is important for Trey to see the positive interaction between both of his parents. Jada said it was important for her to embrace Sheree and insisted that she respects the relationship that Will has with his first wife. While some people may not agree with her movie star husband vacationing with his former wife, Jada isn’t bothered by any critics. Jada welcomed Sheree on the premiere episode of her Red Table Talk series last month. For Mother’s Day, Jada even gave Sheree a Mother’s Day gift when the latter came to support the premiere screening of her talk show. Jada and Will married in 1997. The pair share two children, 19-year-old Jaden and 17-year-old Willow. In an interview with TODAY earlier this week, Jada spoke about how great it is to have a unique partnership with her husband. “Through my journey, I learned to love him in the most pure way and love everything that comes with that and he’s learning to do the same,” she revealed.